When they first think of having children, parents-to-be often have no idea of the enormous amount of space that kids and all their stuff take up. It is actually quite remarkable, given how small children are. 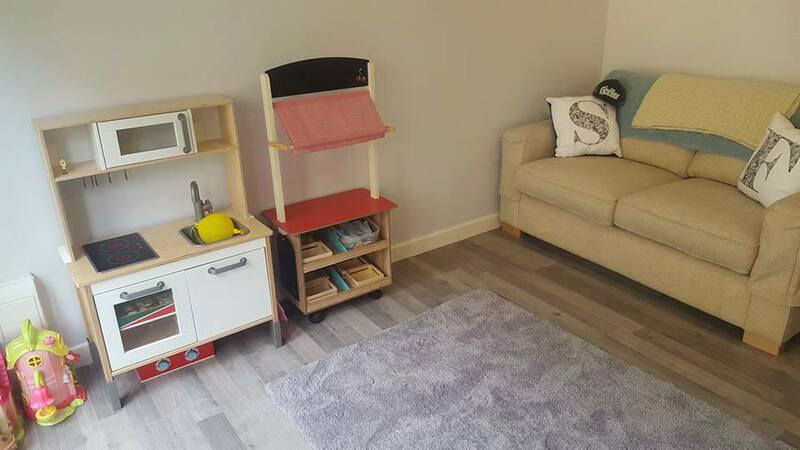 If you’re in a small house and there’s not much space to play, it can quickly begin to feel cramped and the constant tidying of toys can leave you feeling stressed out with no escape. 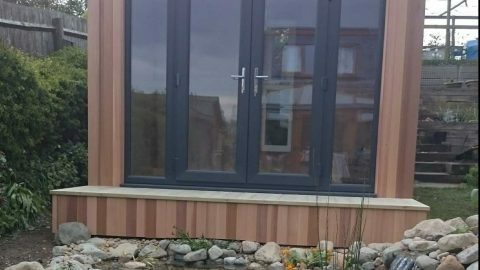 Using a garden building as a garden playroom for the kids could be a sanity saver. 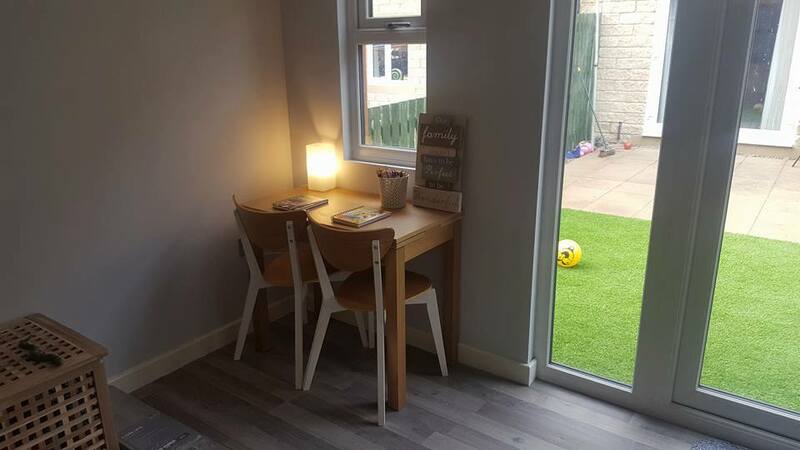 A garden playroom can be a place to store all the toys, somewhere to do messy crafts and above all a space which you can shut the door on and retreat back to the (nice, tidy) house at the end of the day. 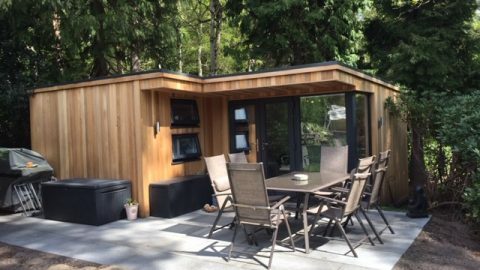 Getting a garden playroom was an idea that Becky was interested in exploring, and she called Modern Garden Rooms to see how we could help. 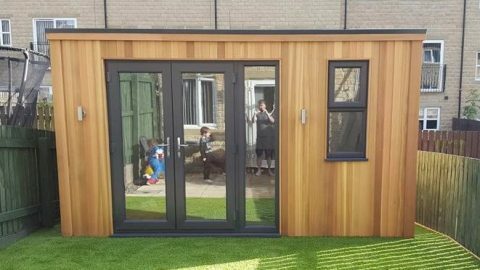 Becky’s garden playroom build was a 4m x 4m cube garden room. 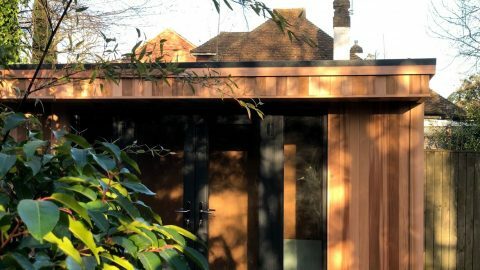 The building was timber clad in natural cedar, and was built without decking. Becky in Keighley, West Yorkshire. Becky needed more space for her growing family. She wanted a new room outside of the house that her children could store their toys in, and use as a garden playroom. 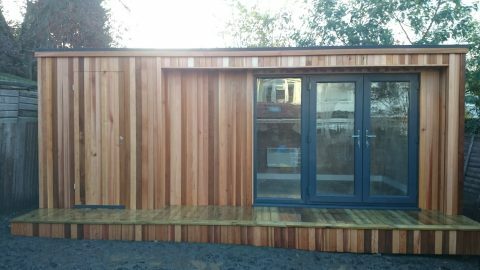 With a thin garden, the options were limited and the new garden building needed to utilise as much space as possible. 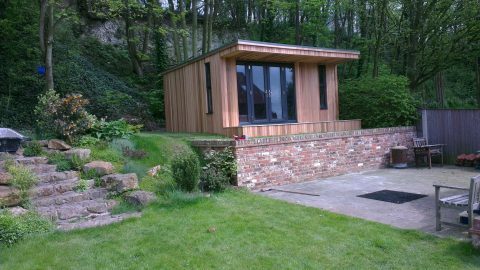 Our proposed garden playroom for Becky and her family was a 4m x 4m cube room; one of our most popular models. 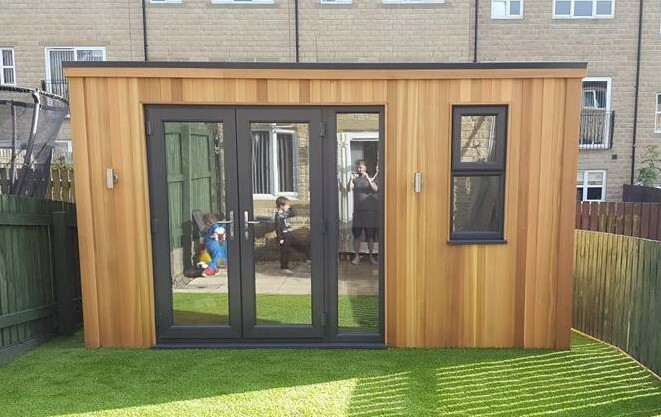 The room fit neatly into the bottom of Becky’s garden whilst providing her children with a decent amount of space with room for toy storage and playing. Inside, the room was plastered and skimmed allowing the family to paint and decorate, before adding furniture including a sofa, chairs and a table. 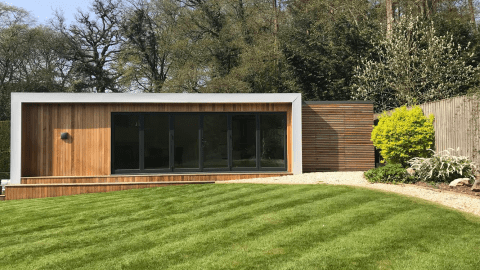 The building was constructed without our traditional decking area to leave more of the lawn, as the playroom took up a sizeable portion of the garden. 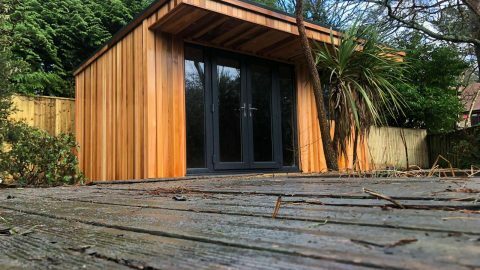 During the summer months the doors of the playroom can be flung open to allow the children to come and go from the garden, however it is fully insulated so that the family can make use of their garden playroom all year round. 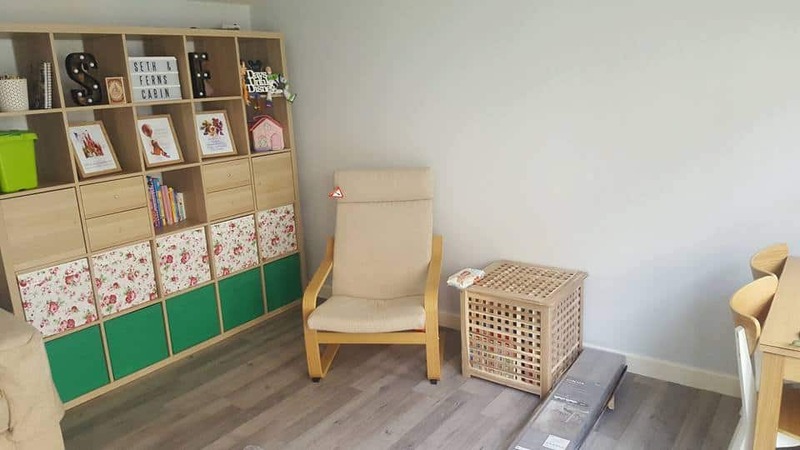 The cube garden playroom will hopefully see Becky’s family right through and in years to come can be a place that the children can use to read, practice musical instruments and do homework. 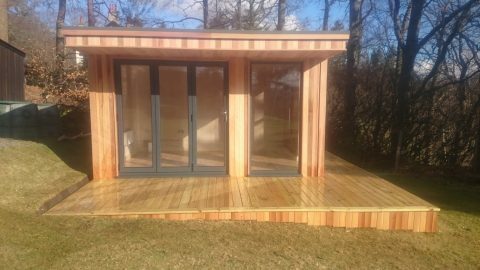 If you are interested in installing a garden room to give your children more space to play, contact us to find out more.